Lawyers are the people who spent days reading law books and work tirelessly for justice. 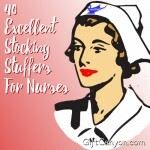 It’s no mystery that their job is no ordinary task. They make sure that everything is in accordance with the law and work for everyone’s equality. 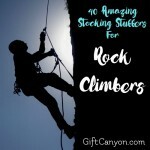 This season of the holidays, what better way to make their Christmas season better by giving them these stocking stuffers for lawyers? 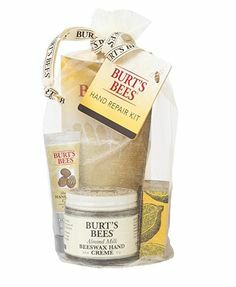 Keep their work light and easy by giving them these handy tools that may serve as a helping hand to our lawyers. 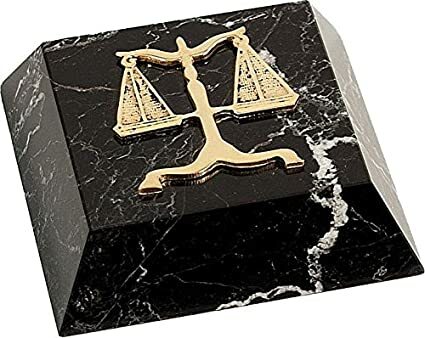 Legal-crested paperweight – With the amount of paperwork that lawyers have to deal with, a paperweight with designs pertaining to their field of work will surely keep their desk tidy. Pen stand – Along with the paperwork, lawyers also have a tremendous amount of things to sign, this handy pen stand will keep their favorite fountain pens always ready for combat. Scales of justice business card case – Let’s face it, it’s always cool to introduce yourself as a lawyer. With these scales of justice business card case, lawyers have no problem stating their occupation. Bookmark for lawyers – Perfect for keeping track on those heavyset law books and records. Executive laser point pen – Useful when presenting important details to their clients or associates. Legal sticky notes booklet – Another handy stuffer for keeping track of various documents that lawyers are sure to have their hands full on. Legal decision paperweight – With the amount of paper works lawyers encounter, this handy paperweight is sure to lighten their load! 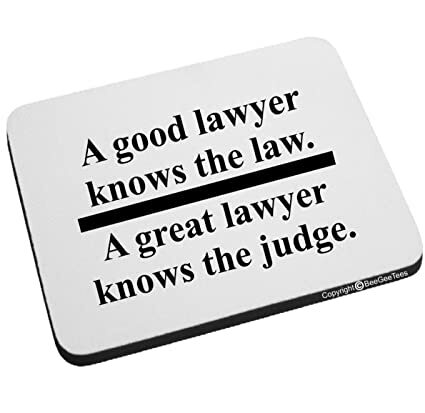 Mouse pad – Fitting for those lawyers who work tirelessly for hours in front of their own laptops or desktops. Scales of Justice Book ends – Lawyers are sure to have thick law books around. Help them from messing up their room with books with these book ends. 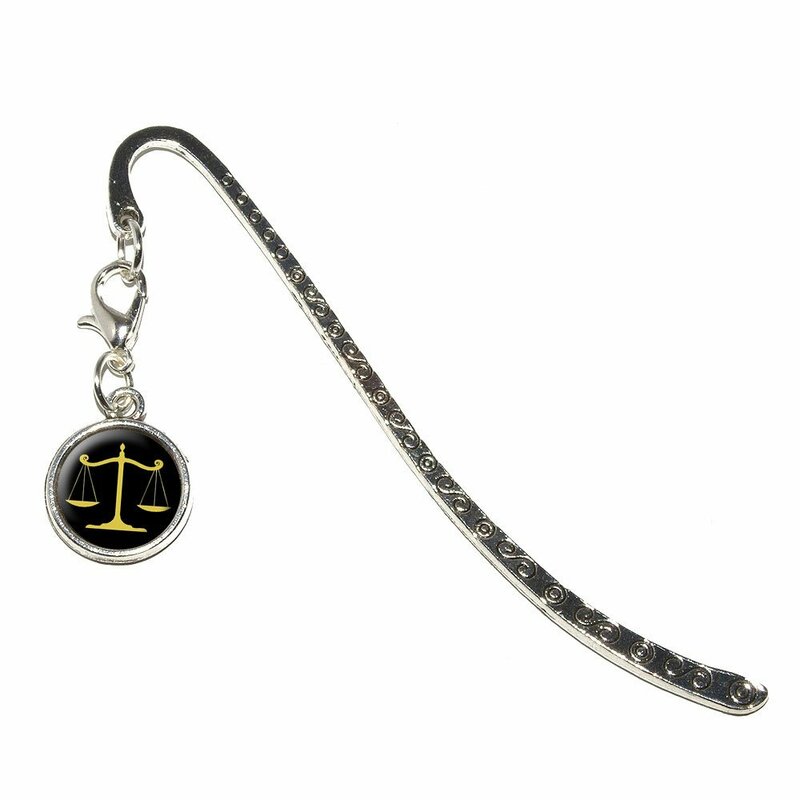 Scales of Justice Lapel pin – Handy for keeping pens and other small knick-knacks within reach. 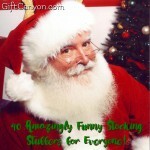 These gag gifts will surely keep them smiling as they face their day to day work! 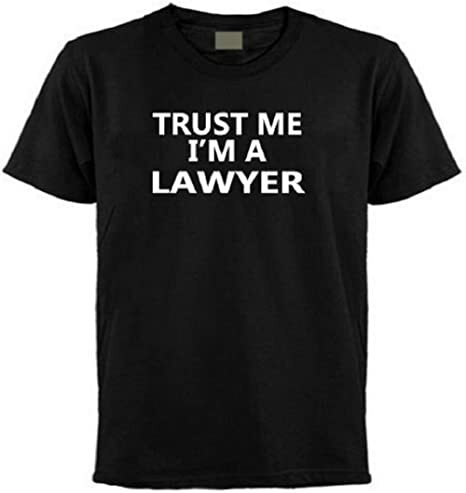 Trust me, I’m a lawyer shirt – On their off days, or just during casual days, this shirt will provide comfort. “Keep calm, I’m a lawyer” socks – For their free days, lawyers will undoubtedly rock these casual socks. Law school in a box – Perfect for humorous lawyers, this gag gift will surely take them back to their stressful days in law school. The world’s funniest lawyer jokes book – Providing a quick relief from the demands of work, this joke book for lawyers will definitely give them a chuckle or two. Poetic Justice: Legal Humor in verse – Chockful of lawyer-related jokes, this joke book will surely give them the jurisdiction for a laugh! Lawyer stress relief squeeze ball – Keep them smiling and stress-free with these squeeze ball. 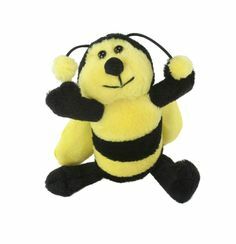 “Lawyers Have Feelings Too” Novelty magnet – This magnet will surely speak in behalf of the lawyers out there! “World’s okayest lawyer” mug – Definitely a must have for any occasion, this mug may give the lawyers a cup of tea or coffee to keep them going with their day to day activities. Laptop decal – This decal of a lady holding the scales of justice will definitely mark the laptop as a properly who works for the law. 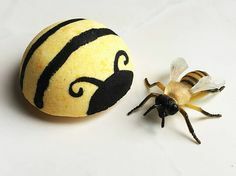 Golf ball – Inscribed with “The World’s Greatest Lawyer”, this golf ball may serve as a design in their desks or might as well use them in a game of golf! 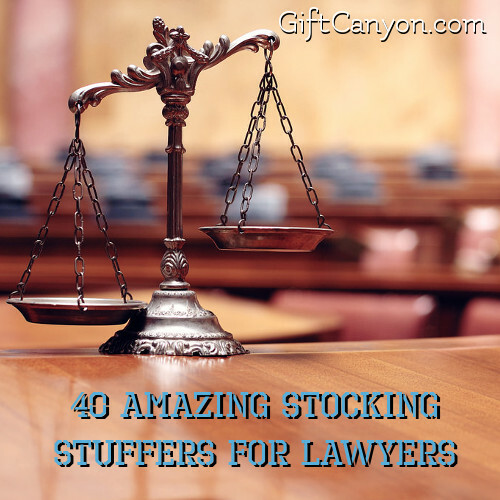 Practical and Personal Stocking Stuffers for Lawyers! 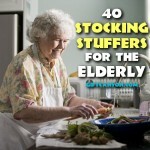 May it be for their own personal use or a decoration, these gifts will definitely give them a big smile on their face. 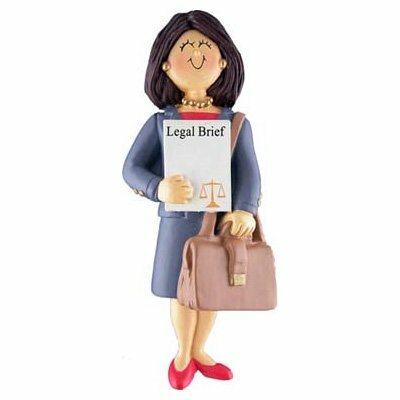 Female lawyer figurine – Representing the female lawyers out there, this figurine brings out girl power in many forms. 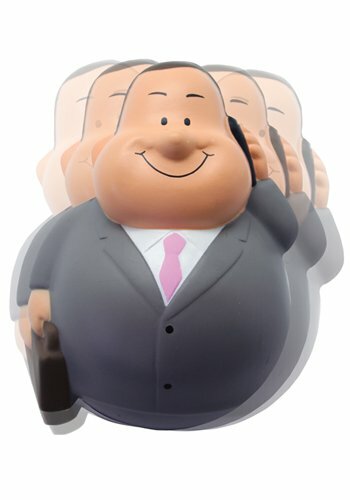 Male lawyer figurine – Lawyers aren’t often the subject of miniature figurines, but these cute little statues are sure to brighten any lawyer’s day! Multi-purpose executive wallet – For the travelling lawyers out there, this wallet will keep all their valuables, including their money, identification cards and passport in one handy place. 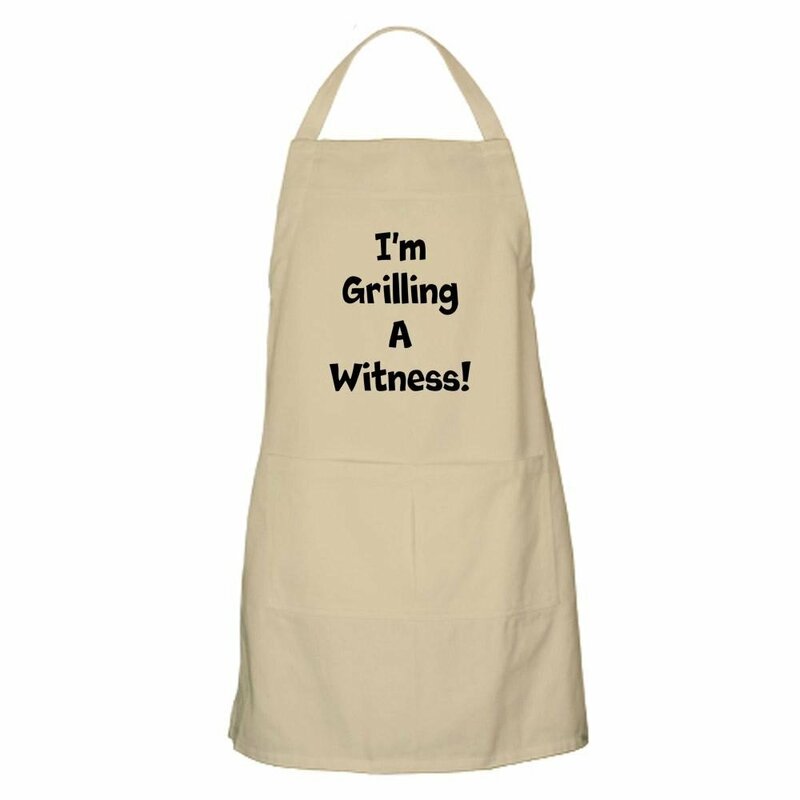 “I’m Grilling a Witness!” Apron – For all the lawyers out there who loves to cook as well, this handy apron will be useful as they make their food to fuel their hungry stomachs. 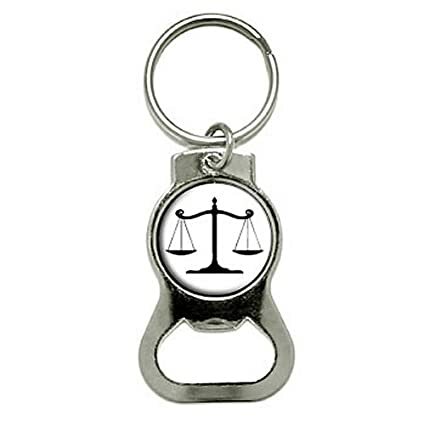 Lady Justice Stainless steel flask – Why not give a handy flask to your lawyers to fill their alcoholic needs? Just remind them to drink moderately or else they might be the one who will end up facing the law! The Practical Guide for New Lawyers: Winning Strategies for Changing Times – For new layers, a handy book that may serve as a guide for them in their field. Lawyer snowflake ornament – It’s sometimes a challenge to combine being a lawyer with the holidays. With this lawyer snowflake ornament for Christmas trees, it can be the perfect seasonal gift for lawyers. 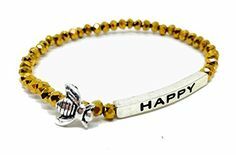 Scales of Justice Necktie for lawyers – For those lawyers who don’t want to be outdated with their fashion, this necktie will surely keep them styling and profiling! Leather watch – A stylish watch will surely be appreciated by a lawyer, especially when they are about to be facing a hectic schedule. 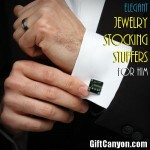 Looking for More Lawyer Gift Ideas This Christmas? 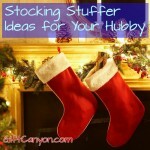 You can check out our gift ideas list for judges and lawyers! 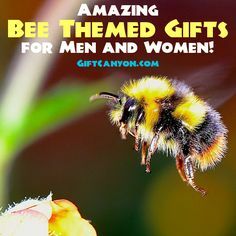 You may find more there!